I used to love beauty boxes but I swiftly began to fall out of love with them when I realised the products were suited to Caucasian hair/skin only. There was very little thought put into including products for WoC. Now, you could make excuses that beauty boxes are produced in bulk and therefore there can’t be products included for WoC but I’m tired of being left out because of my ethnicity – there is no excuse for that. So when I heard about GlowwBox I was genuinely excited. 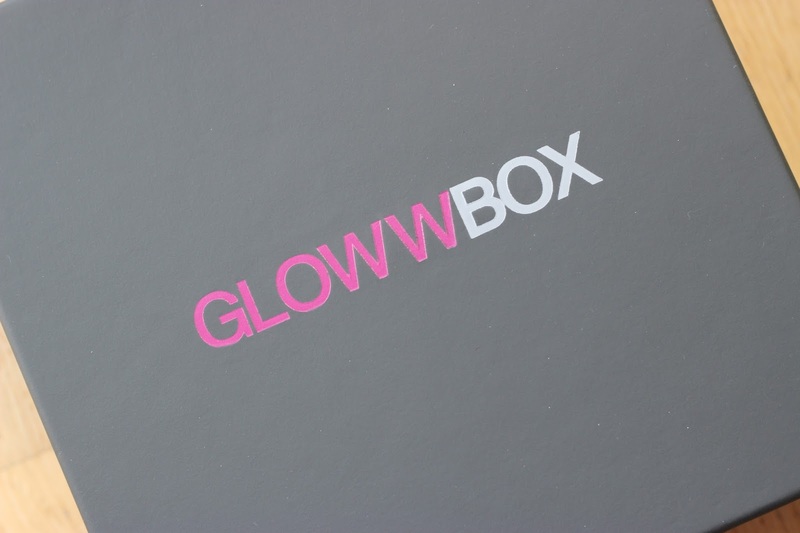 GlowwBox in short is a beauty box with WoC in mind, products are tailored around our skin type and hair types, meaning no product is wasted on me! I was sent the GlowwBox August USA All Stars Edition Box* which held 4 full sized products which is beyond impressive!! 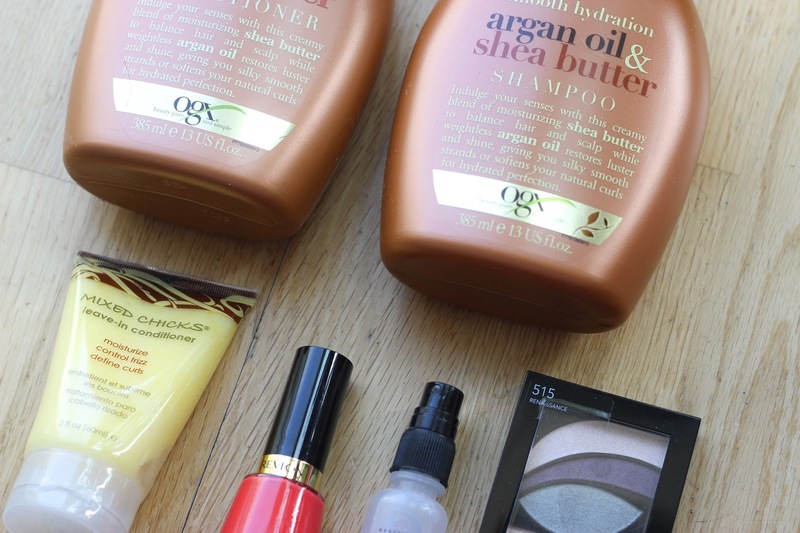 Full Sized OGX Beauty Argan Oil & Shea Butter Shampoo and Conditioner – I’m always looking for new brands for hair care and this range is right up my alley as I have part relaxed hair which dries out quite quickly. I’m looking forward to using these to reintroduce moisture to my hair. Sample Sized Mixed Chicks Leave-in Conditioner – I’ve heard a lot of good things about Mixed Chicks so I was excited to receive a sample of their leave in conditioner. As I said above my hair is part relaxed (relaxed at the roots) but my ends are natural, this works well for me when I want to put my natural hair in a high bun. I’m planning on using his leave in conditioner for my ends to define my gorgeous curls! Full Sized Revlon Nail Enamel in Perfect Coral – If you love summery shades this is the colour for you! I lean more towards neons or neutrals but obviously that’s personal preference – this shade works well on all skin tones! Sample Size Design Essentials Hydrience Argan Moisture Replenishing Mist – I have never heard of this product or this brand but I can say I am thoroughly enjoying this mist! Not only does is smell DI-VINE it offers moisture without leaving your hair looking greasy which means I can use this on my installs! I need more of this in my life! Full Size Revlon PhotoReady Primer, Shadow + Sparkle in Renaissance – This is a great palette for anyone who isn’t too familiar with eye shadows or combining the right colours. This palette does all the work for you, offering you a primer, all the shadows you need and added sparkle. I wouldn’t particularly use every colour in here but separately these shades would work a treat for some of my cool tone eye shadow looks. All in all for my first box I am SERIOUSLY impressed! 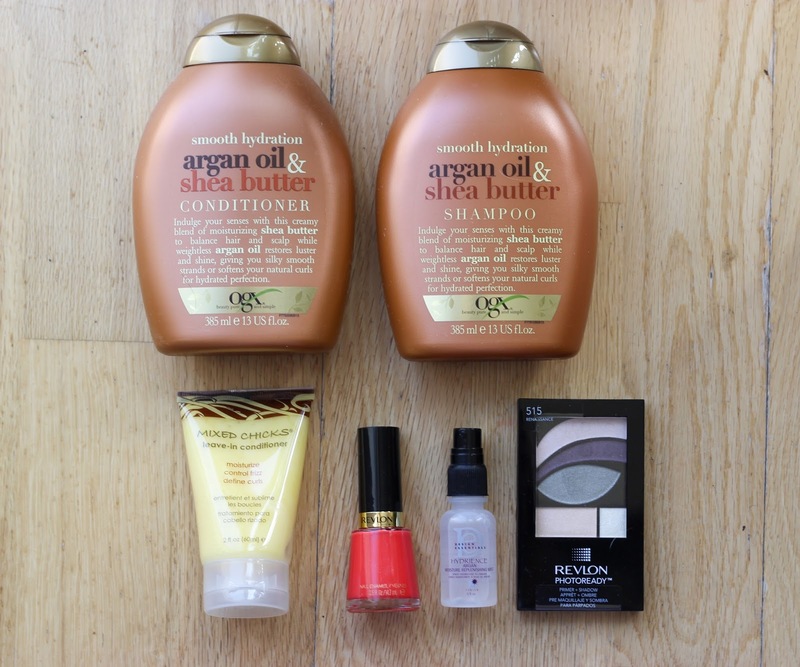 I can use all of these products, which a simple as it seems, is something I am truly happy about. If you’re interested in subscribing to GlowwBox you can do so for £15 plus P&P per month, there is no contract involved and you can stop your deliveries at any time. For more information and to purchase visit the GlowwBox site HERE. *This box was sent to me for consideration and review. All opinions are my own and 100% honest. Please see my disclaimer page HERE for more information.